Nokia 3 resistance test. In its return to the smartphone market, Nokia promised that it would equip its new models with one of the qualities that most emphasized Nokia of the 90, the one of very resistant telephones. The particular test of Zack Nelson initially showed that the promises were fulfilled with the Nokia 6. Today, the following video lets us see the resistance test of Nokia 3. Will it match the most economical of the new Nokia with Android? The resistance of smartphones has become one of the concerns of users, who begin to see in the relative fragility of the materials a factor that determines the purchase of this type of devices. In the face of this general interest, there has been a proliferation of tests on the Net. One of the most popular and outstanding is the one implemented by the JerryRigEverything YouTube channel. This time, we have the Nokia 3 resistance test available. Once again, Zack Nelson gives us some interesting minutes on video with which we can check the resistance of the most sold and / or wanted smartphones. On this occasion, the followers of the YouTuber have demanded with great interest the recording of the resistance test of Nokia 3. Said and done, since Zack has published a few hours ago the video with the test in its YouTube channel. The truth is that this is a test of resistance the least interesting since the protagonist is the most inexpensive of the Nokia with Android, which can currently be purchased for just under 150 euros. The first bars of the video leave a bittersweet flavor. 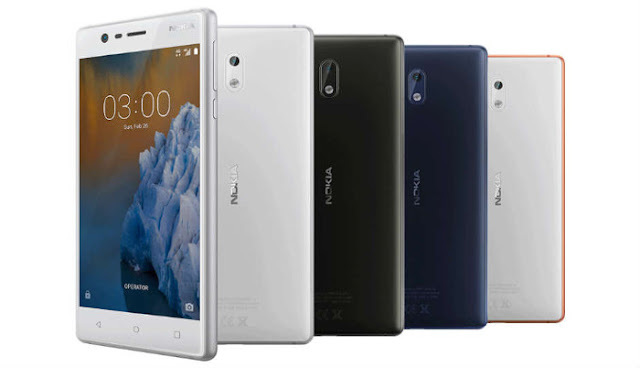 On the one hand, the Nokia 3 casing, made of plastic and aluminum, withstands with relative slack the contrivances of the sharp cut of the cutter used by Zack. As for the glass layer coating the screen, the resistance test of Nokia 3 determines that the material used is at the level of the Nokia 6, since it does not present any damage until encountered with materials with hardness 6 and 7 in the scale of Mosh. However, the situation reverses when you try to scratch the lens that covers the camera. As you can see, the lens is easily scratched by the integration of a plastic layer. Therefore, users of the Nokia 3 should be careful when they rest their smartphone on a surface to avoid scratching the lens, which will certainly interfere with the photographic result. However, one of the most important tests of the test of resistance of Zack Nelson, to verify if the smartphone is doubled, shows the good construction of the Nokia 3. In the same, the most economical of the Nokia with Android does not suffer in absolute deformation, something that can not be presumed many other models, even of superior ranges.